Group health insurance coverage is a policy that is purchased by an employer and is offered to eligible employees of the company (and often to the employees’ family members) as a benefit of working for that company. A group health insurance plan is a key component of many employee benefits packages that employers provide for employees. How are you, as a business owner, able to stand out from your competition? How do you attract and retain top talent? Just offering benefits is not enough in today’s world. It seems as though the more you offer, the more the top talent wants. Once your company is ready to take the next step and offer benefits, how do you maximize the cost?? Once you decide on offering benefits to help attract and retain top talent, how can this be set up to ensure the benefit is part of the employee’s package and NOT an expectation!! 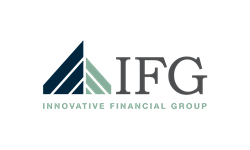 At Innovative Financial Group-Atlanta, not only can we help you source the right benefits to offer, we also work to ensure the package is properly positioned to the employees as an additional benefit offered by you. Give us a call today for a complimentary consultation on your current situation and how it can be enhanced to better position you and your company.